Proven ability to prevent tyrosinase production (the metabolic processes that cause hyperpigmentation). Helps reduce UVA/UVB damage and the formation of wrinkles, whilst stimulating collagen production. Skin is brighter, firmer and more radiant, fine lines are visibly reduced. Traditionally found in mouthwashes and throat lozenges for its antiseptic and anesthetic properties. It has also been used to treat minor cuts, scrapes and skin infections. 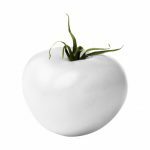 Recently, its ability to target pathways in the skin that lead to hyperpigmentation has propelled it into the skin lightening ingredient category. 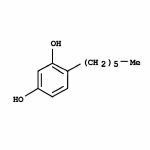 Hexylresorcinol has more benefits as well, including an ability to reduce the appearance of fine lines and wrinkles, increase protection against UVB and UVA rays, and improve the skin’s barrier against pollution and sun exposure. With a purity of 99%, it is clinically proven to be four-times more effective than hydroquinone in lightening the skin. This result along with its anti-glycation and stimulatory effects on cell protective glutathione and antioxidant defense enzymes makes Hexylresorcinol a key skin lightening ingredient. In recent studies, 0.5% hexylresorcinol concentration has proven to be just as effective as 2% concentration of hydroquinone. 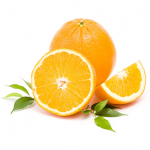 A potent antioxidant that plays a vital role in the condition of the skin. In its stable ascorbyl glucoside form, it provides potent and systemic skin brightening benefits, while effectively fighting harmful free radical activity and the visible signs of ageing both inside and outside of cells. Rosehip oil, rice bran, pomegranate seed oil and jojoba oil are all used for their intensely hydrating, nourishing and rich in antioxidants, Vitamins A, E and vital minerals. 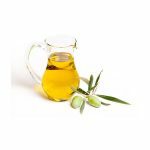 These oils have been traditionally used in skin care to treat a variety of skin conditions including redness, stretch marks, blemishes and broken capillaries. Blended with healing aloe juice and hyaluronic acid, it enables the skin to attract and retain moisture in the base layers. The fragrance: A light fresh complex blend of skin-friendly cold pressed essential oils. Proven to boost luminosity and levels of antioxidants. It actively reduces tissue-damaging free radicals and inflammation as well as lipid peroxidation, instantly brightening the complexion. 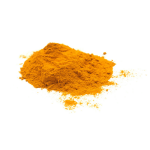 The commonly used alternative kojic acid shows only 0.005% of the activity that colourless turmeric root extract shows for better enzyme inhibition and lightening properties. Colourless turmeric root extract is safe at high concentrations, so Yllume can work faster and more effectively to safely even out hyperpigmentation. This Daisy Flower opens its petals each day with the sunrise and closes them at dusk. Its flower offers a brightening extract that contributes to regulating melanin production. 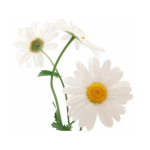 This daisy flower extract works in 3 melanogenesis pathways, to achieve any of these three targets – all of them must aim to influence melanogenesis thus different mechanisms will be involved either individually or in combination (synergistic effect). 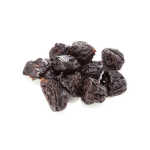 Hydrolyzed Prune extract acts on preventing melanin from being integrated into the epidermal cells, to prevent the darkening of the skin. This is how the ‘melanin diet’ is integrated into the formula – a method of inhibiting melanin transfer in order to prevent epidermal cells from absorbing melanin. 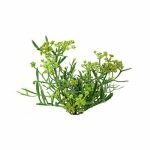 Based on the latest stem cell research, sea fennel stem cell Infusion – the energetic seed, pure concentrate of life – supports the body’s stem cells and enhances the stimulation of new skin cells. Achieved by a patented extraction process, this infusion is effective against loss of elasticity, wrinkles, and irregular pigmentation. A potent blend of amino and essential fatty acids slows down melanin production that can cause excess pigmentation, protects against sun damage and accelerates repair.